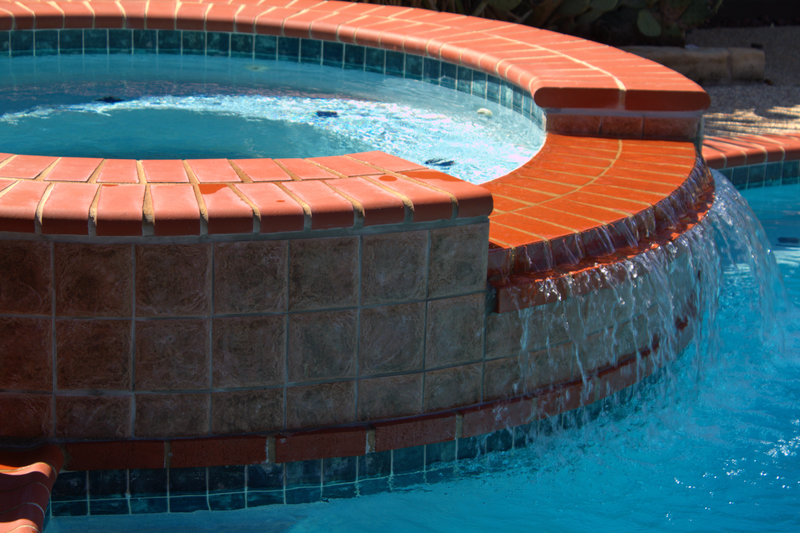 One of the biggest problems swimming pool owners have with an otherwise beautiful pool is the unsightly buildup of calcium and lime on a raised spa wall. Here is one solution we have found as illustrated in these photos. We covered the vertical portion of the brick outside the spa with tile. The remaining exposed calcium was cleaned off using 300 swimming pool tile cleaner from Bio-Dex. *Another solution is called soda blasting. 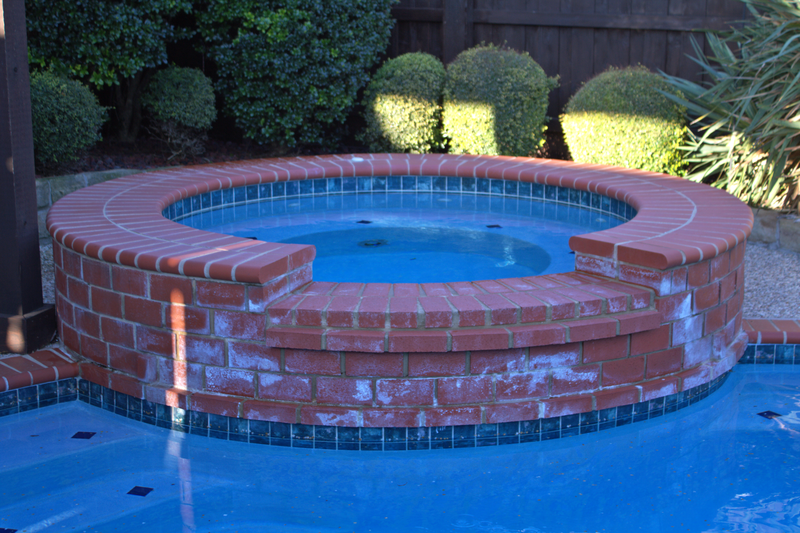 We have referred a local soda blasting company on several pools before re-plastering and have had great results. Soda blasting can remove calcium buildup on any surface including tile, brick & stone. 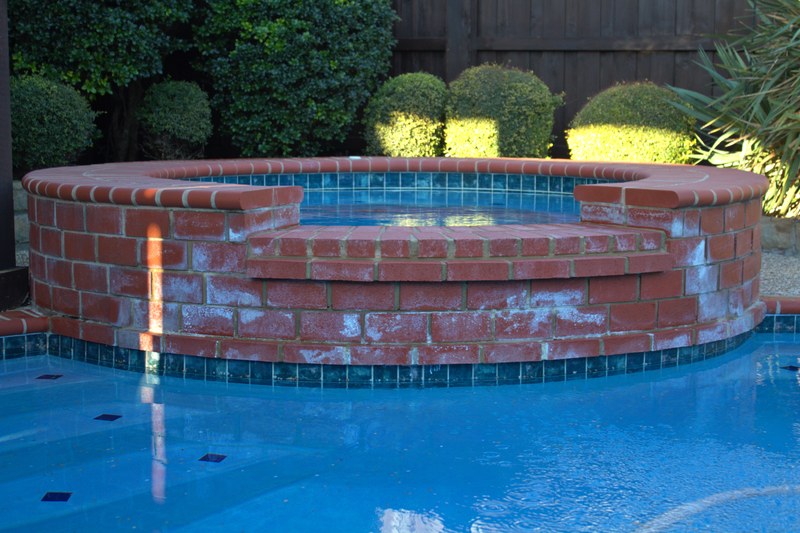 click here for more about pool tile repair services in McKinney, Tx. 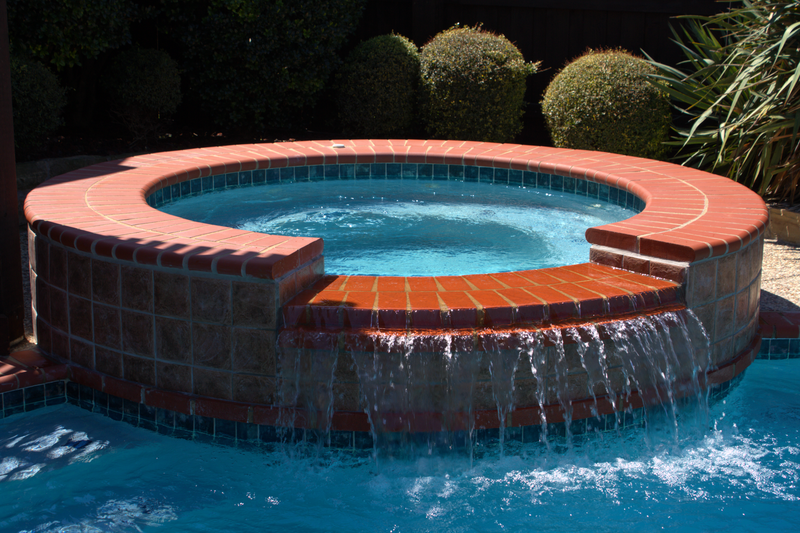 Previous Previous post: Best Heavy Duty Pool Skimmer Basket when there’s lots of leaves!